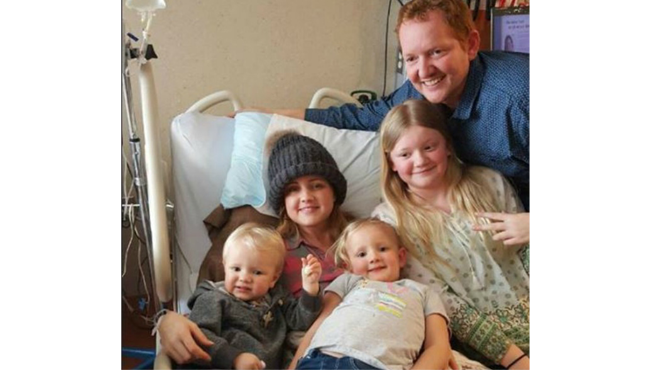 Carrie DeKlyen chose to forgo chemotherapy to treat her brain cancer because she was pregnant with her sixth child, and the treatments most certainly would have ended her baby’s life. Carrie died Saturday, surrounded by family at University of Michigan Hospital in Ann Arbor. She chose her baby’s life over her own. Doctors removed Carrie’s feeding and breathing tubes on Thursday, a day after she gave birth to her daughter, Life Lynn DeKlyen. Life Lynn was born prematurely, but Nick DeKlyen said his daughter is doing better than expected and that she is going to be fine. She proved it, didn’t she? This entry was posted in Christian Living, Communion Meditations, Current Events and tagged abortion, Carrie DeKlyen, John 15:13, lay down your life for a friend, love, pregnant mom refuses chemotherapy, pro-life, sacrifice. Bookmark the permalink.